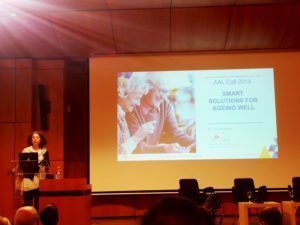 On 31 January 2018 the Active and Assisted Living (AAL) Association organized an Info Day to explain the new call topic of the AAL Programme: “Smart Solutions for Ageing Well”. The solutions need to fit into the strategies of the participating end-users organisations, services providers and business partners. End-users wishes and aspirations have to be combined with the demands from the other stakeholders involved. They intend to ensure a quicker and more agile submission process, grant signature and reporting. They have a maximum duration of 6 months and a maximum co-funding budget of € 300.000. The main objective of the small collaborative projects is the exploration of new ideas, concepts and approaches for ICT-based solutions for older adults. These new ideas can result in proposals for later submissions (under AAL or elsewhere). They should reach out to new stakeholders for inclusion in (future) development of AAL solutions and build strong collaborations with end-user organisations. Moreover, they should support community building with new customers and create shared agendas. Partners are expected to intensively collaborate with end-users at an early stage in order to investigate wishes and needs for appealing solutions, explore novel approached and validate benefits for end-user organisations. AAL officers stressed that these projects are expected to be user-driven and address a specified challenge. The route to market needs to be clearly described and solutions should be available on the market 2 years after project end. End-users involvement (especially secondary and tertiary) is crucial also for collaborative projects. It is expected that project consortia will build on knowledge that is already available, since a lot of requirement analyses with older adults and informal carers have already been carried out in previous projects. If further requirement analyses are needed, this has to be duly justified. Collaborative projects have a duration of 18 to 36 months with a maximum funding of € 2,5 M from the AAL programme. The technology readiness levels (TRL) should be between 5 and 8. Proposals must be submitted through the AAL electronic submission system (that will be activated soon) before the deadline, which is on 28th May 2018. Proposers are encouraged to register the proposal early enough. Consortium must be composed of at least 3 independent eligible legal entities, from at least 3 different AAL participating countries. Consortia must include at least one 1 for-profit business partner; one for profit SME partner, which can be the business partner and one end-user organisation. 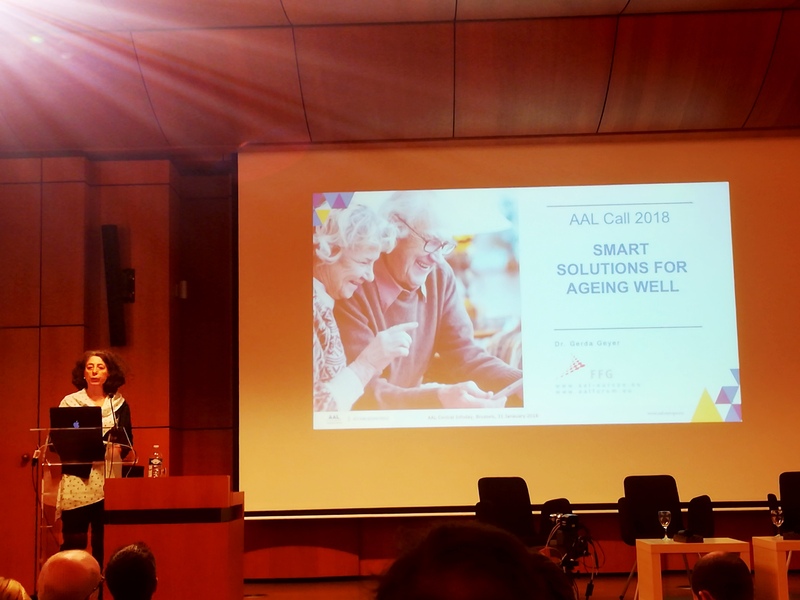 AAL solutions developed under this call are expected to contribute to sustain or improve the quality of life of older adults. Furthermore, ICT solutions are expected to contribute to a large exploitation of ICT based solutions for supporting older adults throughout the ageing process and more European/international collaboration. End-users, industry and other stakeholders should be included in the value chain. The proposed solutions are also expected to generate savings for the social/care system as older adults are supported in living independently in their homes for longer. The total budget is € 28,495,728 million and funding is implemented on the national level by national funding agencies/Ministries. The total amount includes a contribution of up to € 13,163,102 million by the European Commission. Deadline for submitting projects is on 28 May 2018. Only organisations that are explicitly described in the national eligibility criteria are eligible for funding. It is highly recommended contacting the AAL National Contact Persons (NCPs) prior to submission of a proposal. The project may include organisations not requesting funding or not eligible for funding according to national eligibility rules. Such organisations cannot be crucial for the project implementation. They will not be taken into consideration when assessing the project proposal. For further information please refer to the Call Text and the latest version of the Guide for Applicants which will be publish soon.